Harry and Josie are a brother-and-sister duo of 11-year-old Persian cats who arrived at our rescue after their owner became unable to care for them. These two siblings make quite the pair, as they’re incredibly gentle, friendly, and loving. Both cats had medical needs, but they fortunately found an owner who has experience handling these types of issues. Harry and Josie are settling in well at their new home; Harry follows his new owner everywhere, and Josie already acts like she owns the place. 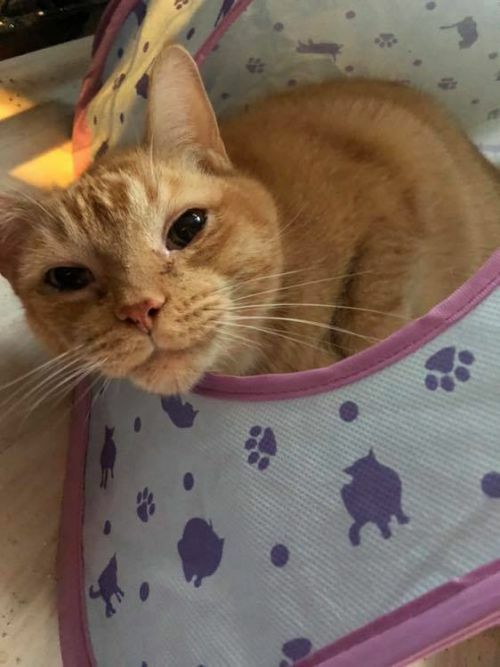 Thanks to the loving care and compassion of Harry and Josie’s new owner, their previous owner knows that these wonderful cats are well-cared for and will live in a comfortable, loving home for the rest of their lives.